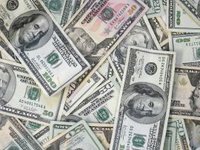 Ukraine needs to borrow at least $10 billion to sustain its balance of payments "but we were offered 610 million euros" by the European Union as part of an association agreement that Ukraine opted against signing late last month, First Deputy Prime Minister Serhiy Arbuzov said in a television program aired on Saturday. Exports to Russia have plummeted, the situation in other markets has got worse, and foreign loan markets have been shut for Ukraine, Arbuzov said in explaining the alleged need for borrowings at a meeting with students shown by the First National channel. "I asked for a loan to support us, and Europe agreed, but a mistake was made - we failed to put it on paper," Arbuzov said in explaining Ukraine's decision to put off the association agreement with the EU. Ukraine risks a default if fails to raise $10 billion, according to Arbuzov. Arbuzov played down the deferment of the association agreement. "Nothing more terrible has happened than that we didn't sign it on the 29th [of November]. So what? We'll sign it on the 29th of the next month, we'll sign it in a month or two," he said.